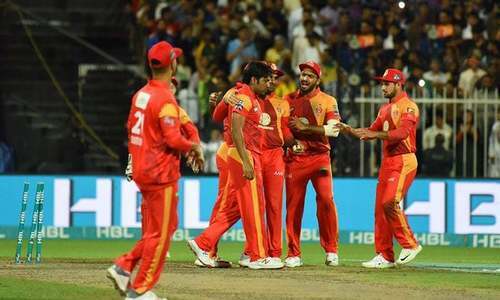 Amid tight security arrangements, the first match of the Pakistan leg of the Pakistan Super League (PSL) — between Lahore Qalandars and Islamabad United — is set to begin at Karachi's National Stadium on Saturday at 7pm. 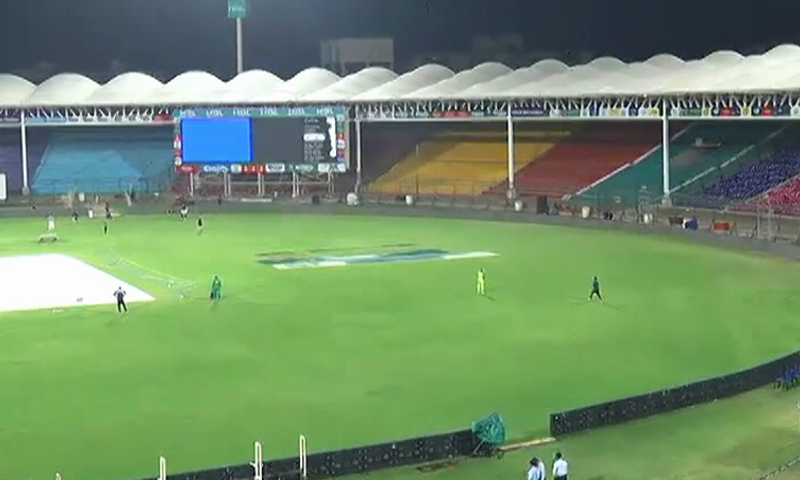 The first 26 matches of the premier domestic Twenty20 league were played in the United Arab Emirates, and of the eight to be played in Pakistan, three that had been planned for Lahore will now also be held in Karachi. In 2018, the megapolis had hosted only the final of the PSL. 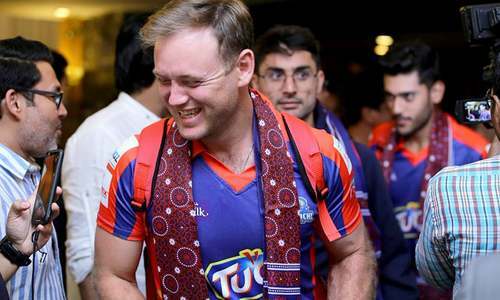 Karachi will witness some of the biggest stars in international cricket — including Shane Watson of Australia and Kieron Pollard and Darren Sammy of the West Indies — in action over the next nine days as the last leg of PSL begins. Sindh Inspector General of Police (IGP) Dr Syed Kaleem Imam today directed police to provide the PSL players, foreign delegates, guests and staff with security protocol as per international standards. As per a press release issued by Karachi Traffic Police, he asked them to ensure that the security on the way from the hotel to the stadium, within as well in the areas surrounding the stadium, be foolproof. The IGP directed that the monitoring steps by the Central Police Office (CPO) from the command and control centre be made effective and strong. He also asked that overall affairs be made reliable with a special focus on disaster management. IGP Imam called for practical steps to be taken to keep the police reserve platoons ready. He asked the police to use their experience and professional capabilities to make the overall security and traffic steps of PSL 4 a success. According to the Sindh IGP, 7720 East, 2260 South, 565 Special Security Unit (SSU), 1780 Traffic and 788 Special Branch security personnel have been appointed responsibilities for PSL 4 security and traffic arrangements. Tight security will be provided for the six franchise teams, including more than 13,000 policemen and 2,500 armed paramilitary personnel in place en route from the hotel to the stadium and in the surroundings of the National Stadium. Several key cricketing delegates from around the world, including top officials from the International Cricket Council (ICC), Federation of International Cricketers Association and the Bangladesh Cricket Board will also oversee security arrangements during the matches in Karachi. Hundreds of CCTV cameras have been installed in and around the National Stadium to monitor the movement of spectators. Spectators have to show their original national identity card (NIC) along with their tickets at the entry points. The main roads of the metropolis have been decorated with lights and cardboard cut-outs of players on the roadside. There are also giant billboards showing several foreign players representing the six teams Karachi Kings, Lahore Qalandars, Islamabad United, Peshawar Zalmi, Quetta Gladiators and Multan Sultans. It was six years before Pakistan hosted any international cricket, when minnows Zimbabwe toured in 2015. The Gaddafi Stadium eventually hosted the PSL final in March 2017, and a World XI also played three Twenty20 Internationals (T20I) in Lahore. But the biggest event was Sri Lanka's return for a one-off T20I in October 2017. "The perception that foreigners have about the safety situation in Pakistan will change and they will be satisfied with the security arrangements," Pakistan Cricket Board (PCB) chairman Ehsan Mani said in Karachi earlier. "I am delighted to welcome the foreign players who have come here for the PSL and I am sure it will help us in bringing more international matches to the country." In a recent interview with Associated Press, Mani had said that Bangladesh and Sri Lanka were the two teams which could tour Pakistan later this year if the PCB successfully organises the PSL games being played domestically. 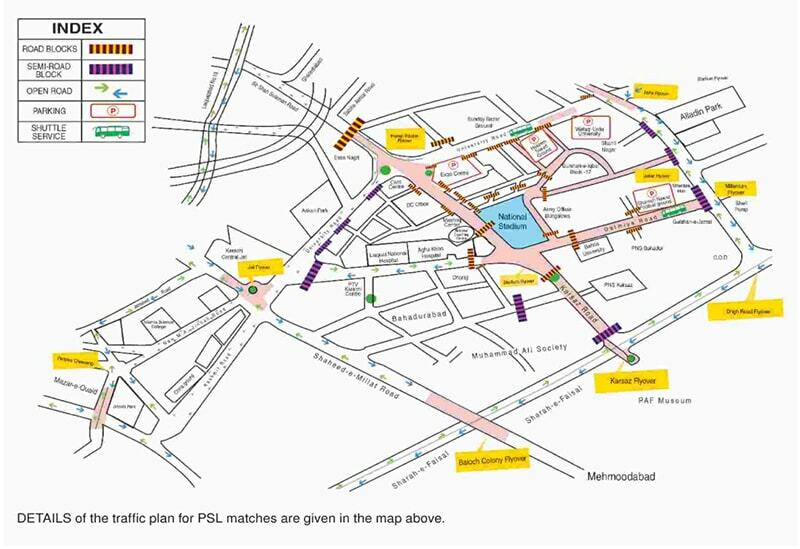 Stadium-goers, according to the Karachi Traffic Police, will be required to show their tickets and original NIC, and must park their vehicles at designated parking places. 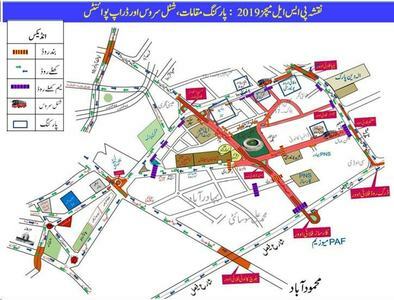 The designated parking spots are the ground near Hakeem Saeed Park, Urdu University Ground, Sunday Bazar adjacent to Baitul Mukarram Masjid, Ghareeb Nawaz Football Ground near Millennium Mall and Expo Center. PCB has issued the following instructions for fans planning to attend the matches. Gates for all NSK enclosures will open three hours before the start of the match. It means means that entrance for 7pm kickoff will begin at 4pm. On March 11, the day of the sole double-header, the first match is scheduled to start at 2pm, thus gates will open at 11am. To gain entry into the stadium, each ticket holder must carry their valid original CNIC/Passport or Form B (for below 18 years of age group) as well as a copy of valid CNIC/Passport or Form B of the original purchaser of their ticket. Spectators are strictly advised not to bring any kind of refreshments to the stadium. Bottles of any kind will be withheld by security at all entry gates. Eatables, drinks, glass/plastic bottles/cans are strictly forbidden to be carried inside the venue. To ensure the safety and security of fellow spectators as well as players, officials, media and the event, all fans will be thoroughly checked at the gates. Is it common to lock down city for matches in your country? Never heard of this anywhere else in the world. Looking forward to seeing the contest. Welcome to the 2019 PSL adventure of its last historic eight matches in the great cricket-crazy, cricket-adoring and cricket-fanatic city of Karachi, Islamic Republic of Pakistan. Keep it up and hang on tough.